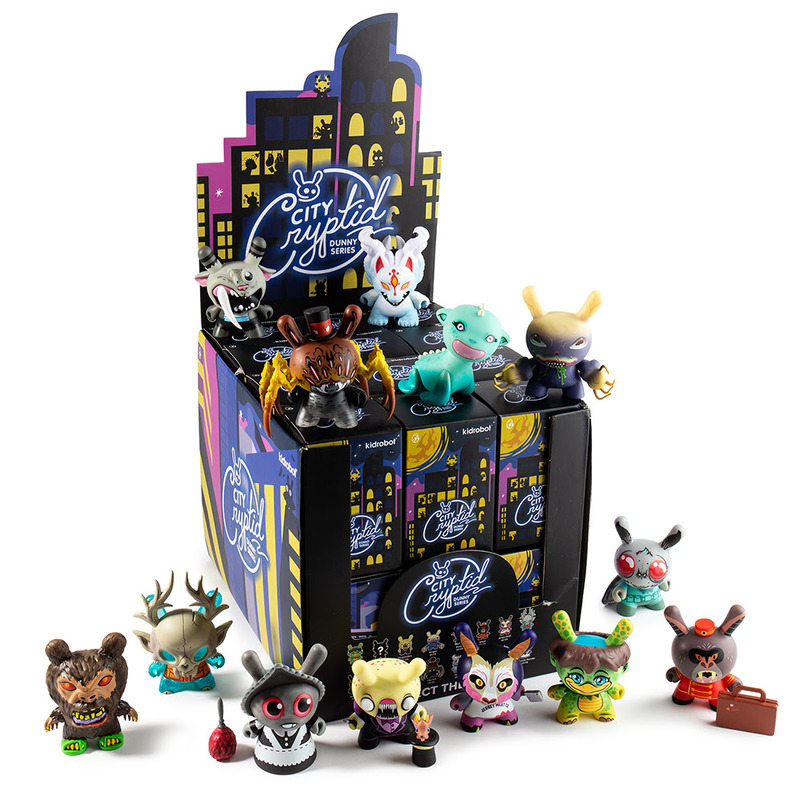 Kidrobot has released its newest multi-artist 3” series, the City Cryptid Dunny Series! Curated by Disney designer and award winning artist, Scott Tolleson, this limited edition series features Dunny designs by an all-star cast of groundbreaking artists, including Greg “Craola” Simkins, Chris Ryniak, Alex Pardee, Charlie Immer, Amanda Louise Spayd, Chris Lee, Candie Bolton, Skinner, Tara McPherson and Tolleson. Chase down and find all 16 cryptids and earn the key to their city! Fans can purchase the City Cryptid 3” Dunny Series now here at Entertainment Earth. A full case of 24 blind boxes retails for $287.99 and includes free shipping, or you can purchase a 4 pack of blind boxes for $47.99.